Fig.6.3 Carlo Crivelli (attrib. ), Two saints (1480-5). The National Gallery, London. A trompe l'œil painting of the first kind looks like a painting; a delusory representation is superimposed on a painting that is taken by the viewer to be just that - a painting. I group these paintings under the rubric of extrinsic trompe l’œil. There are two subgroups in this class. First, there are paintings in which an element foreign to the painting is painted to look like a foreign element. 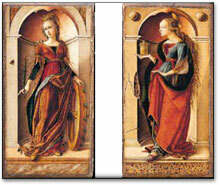 For instance, Carlo Crivelli's Saints Catherine of Alexandria and Mary Magdalene (see Figure 6.3), shows a fly on the left-hand niche5. We may say that such paintings are trompe l'œil of an adventitious element (e.g. the fly). The second sort of extrinsic trompe l’œil is a play on the viewer's expectations regarding the frame or framing elements.6 There is a whole class of Roman trompe l'oeuil mosaics that could be included here. 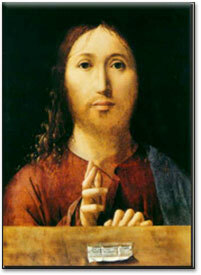 e.g., http://www.royalathena.com/pages/romancatpages/SNV14.htm; I have one with the artist's signature on parchment held by wax that is curling up from the floor(in the mosaic) For example, Antonello da Messina, in his Salvatore Mundi (Figure 6.4), painted a cartellino (little card), a trompe l'œil representation of parchment bearing an inscription. As Marie-Louise d'Otrange Mastai (1975) has pointed out, Artonello's use of the cartellino is in keeping with the earlier device used by portrait painters: Sometimes they would paint an incised inscription on the parapet or sill in the foreground that creates the impression that the subject of the portrait is very close to the picture plane. 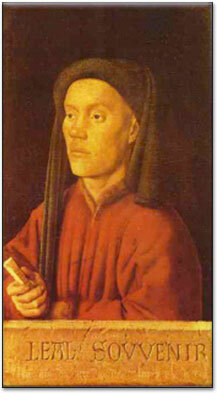 An example is Jan van Eyck's Portrait of a Young Man (Figure 6.5). Eventually, when the parapet was abandoned, whenever the cartellino was retained, it became more thoroughly trompe l'œil by appearing to be pasted on the surface of the painting itself. 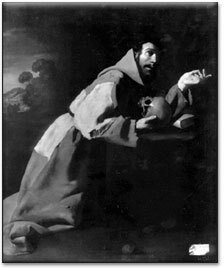 One such case is Francisco de Zurbarán's Saint Francis(Figure 6.6). 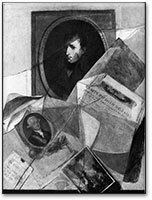 Another use of framing elements for the purposes of trompe l'œil is the representation of a broken glass in front of the painting. An example is a painting by Laurent Dabos (Figure 6.7). Fig.6.8 Jacob de Wit, Food and Clothing of Orphans (1728).. The second class of trompe l'œil paintings, if successful, are not read as paintings at all. I consider them instances of intrinsic trompe l’œil. They fall into three categories: (1) simulated texture or relief, (2) simulated objects or settings, and (3) display boards. To simulate a bas relief or a texturesculpture one needs for the most part to work in monochrome. 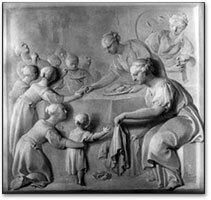 When gray stone is to be simulated, the technique is called grisaille (the term comes from gris, the French for gray). 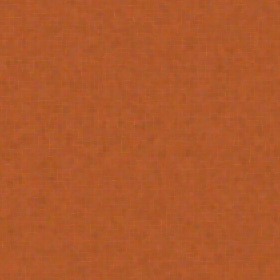 If the material is not gray - such as bronze, terra-cotta, onyx, marble, or wood - a trompe l'œil painting that simulates any of them is called camaïeu.7 Figure 6.8 shows an example of this technique. 5 Two other examples of trompe l' il flies: Portrait of the Artist and His Wife by the Master of Frankfurt, and Madonna and Child by Adriaen Isenbrandt in the Akademie der bildended Künste, Vienna (see Mastai, 1975, p. 87). 6 On the cognitive psychology of explicit and implicit frames that provide structure to our experience in society, see Goffman (1974). 7 This French word once was synonymous with cameo, but its meaning became restricted in the early eighteenth century.